The Great Bilateral Breathing Controversy ~ Feel For The Water! Advice & Tips to Improve Your Swimming. One of the hottest debates in the swimming and triathlon world is whether you should breathe bilaterally when you swim. If you have a look around the internet you'll soon find some swim coaches arguing that you are best off not bothering and should just breathe to one side instead. This is a tempting argument to subscribe to if you find bilateral breathing hard - as many swimmers do! At Swim Smooth we think quite differently. 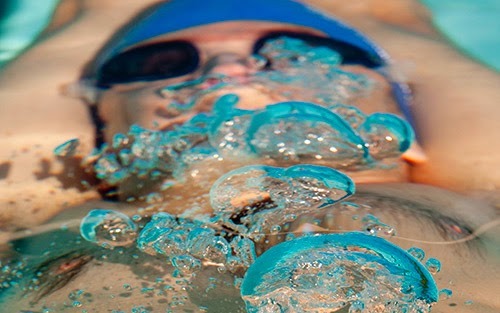 Breathing regularly to both sides is such a powerful way to develop and maintain good stroke technique, and offers such a strategic advantage in races, that it would be unwise to ignore it. In fact, your breathing pattern is so important to your swimming that a huge number of common stroke flaws have a strong tendency to develop when you only breathe to one side. These include crossovers, scissor kicks, timing problems, poor catch technique and even possible shoulder injury! Bilateral breathing is where you swap breathing sides regularly when you swim. The most common way to do this is to breathe every 3 strokes (or 5 or 7) which means you swap sides every time you breathe. However, breathing two or three times in a row to one side before swapping to the other is also bilateral breathing. The key thing is that you regularly swap sides and you get practised breathing to both. 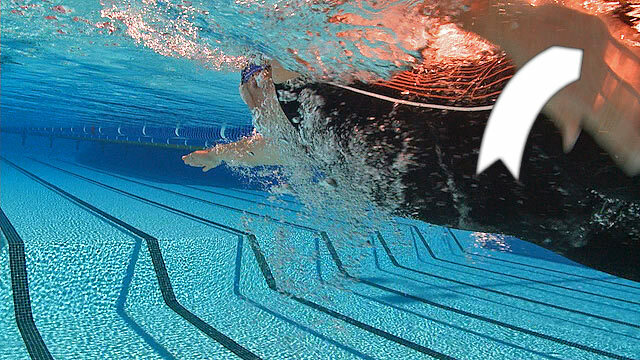 For instance, many coaches consider that breathing left for a full length of the pool before swapping to the right for the next length is effectively bilateral breathing. By doing that you will certainly get most of the benefits as swapping more regularly. Reason 1. Elite swimmers never bilaterally breathe - so neither should you. Actually elite swimmers do frequently breathe bilaterally, especially during training to develop a symmetrical stroke. The great Ian Thorpe used bilateral breathing to great effect to win 'The Race Of The Century' - the 200m freestyle at the Athens Olympics. Thorpie swapped sides every lap to breathe towards his main rival Peter van den Hoogenband to always keep him in his sights. You see, bilateral breathing can make you happy! Other swimming legends have been quoted as blaming the fact that they didn't breathe bilaterally as the reason they didn't win an event, e.g. Grant Hackett in the final of the men’s 400m freestyle at the 2007 World Championships - Hackett breathed away from the competition in the final 50m and dropped from 1st to 3rd, reputably because he couldn't see what was happening in the race. Reason 2. You will run out of oxygen, especially during a race. Only if you're doing it wrong! Usually the reason people run low on oxygen is because they're not exhaling well enough underneath the water - improve this aspect of your swimming and you'll unlock the ability to breathe bilaterally. Plus when you have a side chop or swell in open water (or like Thorpie need to breathe to one side to keep an eye on a competitor) unilateral breathing will feel very easy. The challenge with breathing in swimming isn't getting the air in - it's actually getting it out! Improve your exhalation technique and getting enough oxygen in becomes easy, even when breathing bilaterally. The secret is to get the air out under the water between breaths. Reason 3. If breathing to one side causes you to swim off course in open water, just sight forwards more frequently to compensate. The problem with this argument is that the more you sight forwards, the more your legs will drop low and create drag, even in a wetsuit. This happens for any swimmer, even for elite open water swimmers and triathletes. Plus, constantly coming off course because your stroke is lopsided and then correcting your course is hard work all by itself. Breathing bilaterally in training helps you develop a nice symmetrical stroke technique so you swim inherently straighter, meaning you have to sight less frequently to swim straight and make far fewer corrections. This is something we should all work towards (see this video clip for a great example of why). Reason 4. Old dogs can’t learn new tricks. Actually they can - but only if they're willing to try. Many swimmers have it so ingrained in their head that "I can't" quickly becomes "I won't"! If you are thinking "Yeah, yeah, I’ve heard it all before" then be very careful, could just breathing to one side be the one thing that’s always held you back with your swimming? Swim 3 sets of 5x 100m. Take 15 seconds rest between each 100m and 45 seconds rest between each set of 5. Swim the first set only breathing to your left (preferably every 4 strokes), the second set to your right (preferably every 4 strokes) and the third set bilaterally (every 3). Monitor your times through the set. Are you faster than you thought to your least favourite side? Could this be due to the bad habits on your favoured side simply not existing on your 'bad' side. Could that be worth working on and improving yet further? Yes, it could! Reason 5. Your neck will become sore if you try breathing to the other side. When you breathe, your body needs to rotate along the long axis of your spine. You do this quite naturally to your favourite breathing side but probably less so to your least favourite side. hip out of the way as your hand completes the push phase as the back of the stroke. Trying to breathe to your least favourite side without adequate rotation (aim for 45-60º and now more) will see you twisting your neck and lifting your head, and yes this will soon make your neck sore. Develop better rotation (and timing) to that least favourite side and this will no longer be an issue. Reason 6. There’s no way you'll ever be as good breathing to your least favourite side as to your good side, so don't even bother. We've performed many thousands of stroke correction sessions at Swim Smooth and we can tell you for a fact that most swimmers actually breathe with better technique on their least favourite side when they are encouraged to try it. It may feel awkward because you're not used to it but it's very likely your timing is better and you keep your head in a much better position when you breathe because you don't have any bad habits on that side. Reason 7. You’ll fish-tail down the pool if you try to breath bilaterally. Actually, exactly the opposite is true. If you develop your body rotation equally to both sides you will develop a much more symmetrical stroke and be well on your way to eradicating cross-overs and asymmetries which cause fish-tailing. It is actually unilateral breathers that suffer much more from fish-tailing than bilateral breathers. Snaking through the water wastes a lot of energy. Reason 8. You haven’t got time to learn yet another skill. Learning to breath bilaterally doesn't need to occupy your every waking moment, really it shouldn't take any additional training time to learn. At first you can just include it in your warm-up and cool-down before progressively adding it into other parts of your sessions. Your ability to breathe equally well to both sides will pay huge dividends in open water as there are many occasions when you need to breathe to one side strategically. This could be breathing away from side waves or chop, or breathing towards a competitor to draft them effectively to their side and match their stroke rate. The ability to swap breathing sides is a huge advantage when arrow head drafting. The successful open water swimmer and triathlete is one who is adaptable enough to "roll with the punches" (or waves) when required - sometimes literally! Reason 9. You’ll never get comfortable with it and will always feel under stress when doing it. First and foremost the secret to breathing bilaterally is all about a smooth, constant exhalation in the water. In some parts of the world swimmers are taught to hold onto their breath to improve buoyancy - but the only place this will add buoyancy is in the chest region and so sink the legs even further. You'd never hold onto your breath when you cycle or run, so why do it when you swim? Doing so only turns an aerobic activity into a much more anaerobic activity and that's bound to make anyone fatigued and stressed regardless of which side they breathe. From statistics we've collected on our clinics, if we took a group of swimmers at random over 80% will be holding onto their breath for at least a second under the water. A second might not sound like a lot, but if you are only breathing every 2 strokes that's almost the entire time your face is under the water. Learn to "let it go" and your transition to bilateral breathing will become much easier. Reason 10. If you already find breathing every 2 hard, imagine how hard breathing every 3 will be! As well as holding your breath underwater, another classic reason for finding breathing every 3 strokes hard is when swimmers have tried to over-lengthen their strokes and added a pause-and-glide into their timing. This makes your stroke turnover (stroke rate) very slow and dramatically increases the time between breaths. If you recognise yourself as a bit of an Overglider then working on the rhythm of your stroke will also make bilateral breathing much easier as the time between breaths reduces. In fact it's very rare to see classic Overgliders being able to continuously breathe bilaterally for this reason. This is a shame because generally Overgliders understand the benefits of bilateral breathing, it is just that their stroke style will not allow them to do it. - Bilateral breathing helps to improve your symmetry and balance in the water, reducing your drag, having you swim straighter and reducing the chances of shoulder injury. - Bilateral breathing lets you keep your options open when swimming in open water, specifically breathing away from side swell and chop, and drafting close to other swimmers to the side. - Bilateral breathing gives you a tactical advantage in pool races as you are able to monitor your competitors and respond to any moves they make. It's so easy to say that bilateral breathing is too hard and give up on it but are you truly doing your swimming any favours with this outlook? Take on the "Bilateral Breathing Challenge" and see if you can crack it once and for all... today! Great article. I agree with everything. In swimming balance and coordination are paramount. I would only add a supplementary element in favour of breathing bilaterally as far as rotation is concerned: a correct rotation is very important because the muscles which should work in the pull movement should be more the back muscles than the arm muscles. To activate correctly the back muscles, a good rotation is necessary. Yet again Swim Smooth presents a brilliantly clear, insightful, balanced common sense article. I agree 100% with every point. I forced myself to start bilateral breathing several years ago. It was hard but I persevered and it took up to a year before it felt anywhere near comfortable. Now, I am totally at ease whichever way I breathe. I have since taken up triathlon and bilateral breathing is the most useful tool in the box. 1. I had a fairly good coach tell me and a group of triathletes to breath every 2 strokes when racing in order to keep an eye on our draft. This made very good sense to me. Agree that being able to breath every 2 strokes to either side is important for this reason. 2.During racing or hard sets I find that I just need more oxygen and breathing every 3 strokes isn't enough. So would a breathing pattern of 2-2-3-2-2 be sufficient so that I breath on one side twice then on the opposite side twice? I think that the rhythm he gives is really convoluted and difficult to perform but I can see his point of getting as much oxygen as possible since that's what we would do running or cycling. If you spend a little time improving and perfecting bilateral breathing it pays dividends in the swim leg of a tri. I don't need to sight nearly as often I I find I'm generally on course when I do. I also find it adds rhythm and consistency to your stroke. Another bonus is that in open water with chop or the sea, I can easily and comfortably breathe to the open side so I don't accidentally inhale a lungful of Atlantic! Totally agree great article I'm 45 years old now and have been swimming since I could walk. About 6 years ago I made a concerted effort to covert and never looked back. I thought it was going to take for ever but in reality by the 3rd session I knew I would never swim any other way from that moment forward. Practically overnight my 1500 time came down by about nearly 2 mins and I consumed less energy as the stroke became more and more symmetrical. At first I reduced the cadence but once it clicked I was able to keep a similar stroke rate. To Anonymous asking about a 2-2-3-2-2, I often do that in a tri swim when i want the various benefits of bilateral bit need a bit more oxygen. Doesn't feel quite as rhythmic as a regular 2-2 or 3-3 but it is great to have the flexibility. Also bear in mind what the article says about improving exhalation to improve getting oxygen. Again, another Swim Smooth tip that worked for me. AG- We know our swimmers! Jonas- Thanks for your comment, the correct amount of rotation definitely helps assist effective bilateral breathing. Anonymous2- Yep keeping an eye on the person you're drafting is a good idea, also helps you see their arm timing so you can match it and tuck in nice and close to get the best draft possible. 3-2-3-2 can be a suitable compromise while improving fitness and bilateral technique, so its left left right right etc. I would be wary of following advice from someone who 'doesn't like swimming more than 100m'! The writer's whole argument is convoluted, hence this blog post in the first place to explain the reasoning! Black Sheep Fitness- SPOT ON! Paul Harrison- Glad you stuck with it! 2 mins is a massive improvement from such a small tweak, which would take you months or years to make up with fitness alone. Although there is much to like in this article - point #1 simply fails to recognize how few elite freestylers breathe on both sides. Katie Ledecky breathes on one side. Rebecca Adlington the same. Watch the 2012 Olympic 800 free finals. The top 3 breathe on one side. Michael Phelps. Ryan Lochte. Sun Yang. Park Tae Wan changes sides to watch his opponent but breathes on one side per length. I think the reason these people do this is that bilaterial breathing is insufficient for their aerobic needs. You can hardly say they aren't good at exhaling. I think at the elite level, at least when it comes to racing, the bilateral breather is the minority. I have done a video analysis with Paul mid last year. He classed me as a classic overglider. I only breathed on one side. I have no swimming background and only been swimming for 18 months. I have done the busso half swim last year in just under 41 min. I have done the Albany half swim in 35 min in January. I am hoping to do the busso swim next week in 33 min should all goes well. This will be a 20% improvement from last year. 2:15 per 100 down to 1:44 per 100. How have I done this? I tried a month or so practicing bilateral but could get it right. I then started to practice it with a pull buoy or fins. Within 2 weeks it all just clicked. It just felt way more comfortable breathing bilateral with the buoy or fins. In addition I have religiously used my wetronome. Awesome post; well thought through, cogent and clearly countering every reason not to bilateral. So glad I read this so I know to stick with it! 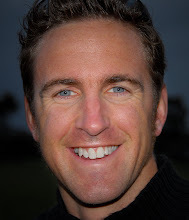 Dan Hoffmann - Yes, you're right: many elite swimmers breathe only on one side during races (but probably not when training); the fact they are elite swimmers does not mean they do everything as in a book: for instance, Sun Yang uses a 4 beat assymetrical kick and opens too much the fingers on his right hand during the pull, and Ian Thorpe lifts his head too much. The important thing for us, "normal" swimmers, to consider is that bilateral breathing is definitely better, especially in open water (we should be careful when comparing open water swimming and pool swimming, as they are quite different). Bi Lateral breathing has helped my massively . All the tips and points you make are 100% valid and a " must to do ". It has taken out all those mistakes in my stroke and style I have . Most of all , my Cadence has moved up significantly , and especially on Race day , Wetsuit swim. Ceers. Breathing patterns should be selected to match rate of respiration to exertion level. This is the first and most critical thing to consider. The second priority is to recognize any compromises in mechanics that occur during breathing. In other words, how are breathing strokes different from non-breathing ones? Ameliorate those differences and there is no reason to NOT breathe as frequently as you like. Breathing induces the most errors in stroke mechanics. It strikes me as irrational to suggest that you fix the errors of breathing to the right by breathing to the left. Here's how I translate that advice: "You know how breathing to the right generates fishtailing, crossing over and scissor kicks? It would be terrific--and create magical symmetry--if you did that to the left side, too." You fix the errors of breathing to the right by fixing the errors. That means learning to breathe skillfully to the right. Once you've got that down, learn to create the same skillful breathing to the left. But there's no controversy, and the "breathing creates symmetry" crowd is simply wrong. I would think after watching thousands of videos you'd have noticed that the breathing strokes are always the worst ones. The problem is "the manner in which you breathe" not "the side to which you breathe." Liberate yourself from this very tired, unquestioned 'truth' about bilateral breathing. I'm all for the legitimate tactical reasons to choose which side to breathe to. But let's stop kidding ourselves about the inherent technique benefits. You are misleading thousands of self-coached swimmers into thinking they just need to breathe to both sides to automatically balance out their stroke. They're much more likely to duplicate their mistakes on both sides than they are to develop skillful symmetry. You'd serve them better by instructing them how to breathe with no loss in technical proficiency. But that's a lot harder to do than repeating the 'bilateral breathing fixes stuff' nonsense. For me the sun is a major issue when swimming. Last March the Tri swim course was a straight line there and back with the low morning sun shining at a 90 degree angle to the straight line. Being able to swim bilaterally enabled me to face away from the sun and not have to swim half the course looking into the sun and have diminished sighting complications. I breathed to one side my entire competitive swimming life. Since I turned 40, I changed to bilateral. I am certain freestyle has improved and become more fluid..
...as you can see, we're clearly in agreement as to the need to improve your technique when breathing as yes, indeed, this is the most common time for something to go wrong - maybe you learned that from us? Haha! Like you say, simple observation and your background in coaching (?) will show you that as you have obviously picked up yourself...but why the need to remain "Anonymous" mate? That's just soft. ...ok, so you missed those too? Don't panic, it's all in our book available here: http://www.swimsmooth.com/swim-smooth-book.html - hardly misleading to thousands of self-coached swimmers wouldn't you agree? Just read the comments above mate...it's all there. Thanks for the amusement this morning, I hope you don't spend all day in a dark fuming cloud thinking "damn those Swim Smooth guys!" - life's too short mate and when you read the blogs above you'll see that your arguments and frustrations have already been answered by us many times over...hardly "unquestioned" don't you think? I am not entirely sure that bi-lateral breathing necessarily improves technique (more on this below) but it does have the advantage of overcoming asymmetrical body development. After many years of competitive swimming breathing to one side made my body shape markedly asymmetric. The asymmetry was not just a cosmetic effect but it affected other sports as well. While bilateral breathing may help technique, the real key to the issues you raise (as you write) are breathing out, good body rotation and minimising head lift. I couldn't agree more. Following a pacemaker fitting and a heart attack which required a stent my daughter taught me to breathe bilaterally and worked with me to improve my stroke. (She is a triathlon coach). 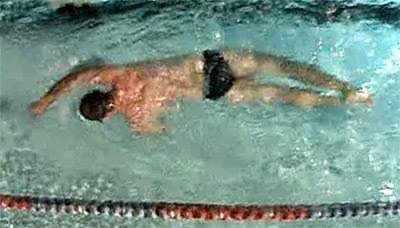 It took a month of swimming very steady and deliberate lengths to focus solely on technique. I found it really hard at first but after a month I could do it and now it is just my natural way to swim. Interestingly breathing properly helps to reduce the strain on your heart as well so it is well worth persevering with. I was 52 when I learned to do it so its never to late to start and I'm a much better swimmer now. Also its really good to use Mr Smooth to help visualise what you are trying to achieve. Thanks guys for such a positive response to this article, we've received so many likes, shares, retweets, comments and emails it's untrue! When you breathe every stroke to one side (say the left) the right hand entry/alignment/catch/pull only ever occurs whilst breathing. As established multiple times in the comments above, technique whilst breathing is hard to maintain and bad habits develop, so it's very likely your stroke technique will be poor on the right side and create knock on effects in other areas of your stroke. When you move to breathing every 3, only 1 in 3 of your right hand strokes is a breathing stroke (and your left too of course). You get to practise each side's strokes 2 out of 3 times when not breathing, so you develop a better technique and it is much more likely to stay in place when you do breathe on it. That's one of several key reasons why bilateral breathing helps you so much in developing your stroke technique. Nobody's saying that's all you need to do (far from it) but it's such a powerful practise it would be madness to ignore. I know with my own stroke (approx 7 years of unilateral breathing just to my right pre SS and now religious bilateral for the last 5 years) that I instantly feel lopsided and crabby in my technique if I switch back to unilateral. The key is simply good exhalation technique into the water and good rhythm in your stroke. Get that right and you'll fly! Great article Swim Smooth ! As a long time techinique coach of age group swimmers and triathletes, it is easy to identify a lot of common errors created by breathing on one side only. My job is always harder when my students come to me breathing only one sided, muscle memory is a big hurdle for some. I notice major lack of rotation, scissor kicking , sweeping , balance, and incorrect head position in one sided breathers. In forming elite swimmers , I work hard on balance and rotation and need my swimmers bilateral breathing a large majority of the time. If they choose to unilaterally breath on some main sets or at their races that is fine as I know they have technique down. I hope all coaches read your article and start incorporating it into their workouts/drills, so when they come to me for technique specific I can build elite swimmers faster. Keep up the great work ! Great article. I'd just add an emphasis that as soon as your mouth goes back into the water you should be breathing out. If you have to *start* breathing out at some point in your stroke, you've added a distraction, an unnecessary complication which is counterproductive. I'll also say I was self-coached for a few years and found Swim Smooth's advice invaluable, and I am very glad one of the first issues I addressed in my stroke was bilateral breathing. It's too easy for stroke problems to hide on one side when you're not. And if you can't breath bilaterally, then you are definitely not as relaxed in the water as you should be. I have been a bilateral swimmer for several years, and strongly believe in its benefits for improving my stroke. Recently I noticed that I was taking slightly longer on each breathing stroke than on the other two strokes and that this was causing my entire stroke to lose rhythm. To rectify this, I have been training with my Finis Tempo Trainer Pro in its metronome mode to get the timing of each stroke exactly the same. As a result, I have achieved improved stroke rhythm, a higher body position in the water, and increased speed. In the Swim Smooth blogs and DVDs I have never seen this point mentioned, i.e. making the breathing strokes and the non-breathing strokes at exactly the same time interval, and would be interested in your opinion of whether you think this important and whether other swimmers also have this issue. Thanks Kevan - that's certainly our goal: to help everyone of every ability improve their enjoyment and efficiency in the water. If this shared knowledge then makes other coaches' jobs a little easier by disseminating this information then it's a win-win! Thanks for sharing your thoughts. Brilliant points Pawl - think of it like this: delay your exhalation and you end up really restricting the time available to explosively exhale before you try and grab that new breath of air in. Typically we see many swimmers having less than 0.4s to achieve this if they delay exhalation and so what commonly happens is that they spend some of their inhalation time still exhaling. This again highlights the fact that we're not usually limited by how much air we can breathe in, but more on making sure we've cleared the lungs properly enough to afford ourselves a full and satisfying breath in when the time is right! Philip - you've hit the nail on the head here and are quite right! The Finis Tempo Trainer PRO is excellent in this regard. For those not yet using one, you can achieve a similar effect by repeating this mantra "1-2-Stretch" as explained here: http://www.feelforthewater.com/2012/05/two-quick-tips-if-you-struggle-with.html - thus, this sees each stroke lasting precisely the same amount of time as the last irrespective of whether its a breathing or non-breathing stroke. Thanks everyone - really glad you're loving the post - there's countless coaching and observation hours gone into this one so I'm glad it's really helping so many thousands of you (96,532 to be precise!). I've followed Swim Smooth for a few years now. Read most entries on the web page a few times, seen the DVDs, read the book. I've taken in most advices, but I'm still doing unilateral breathing. It's always a bit down on the list on what to focus on when doing the squad sessions twice a week. I should perhaps put it on the top. SHould be interesting to see how I feel, what times I could do et c.
HI Anonymous- You're absolutely right its key to good aerobic intensity performance! Have you tried what time you can do a 200 breathing on your 'weaker' side only? You might be pleasantly surprised! Alias- This should definitely compliment your training and help you see really great technique and performance gains- give it a go! Forgot exactly how the set was made. Tried 12x100 m today, or rather 4x(3x100). Within the three I did, breathe to right (my preference), breathe left and bilateral. For the four I did no equipment, pull buoy, pull buoy+paddles, fins. Breathing to the left was the most awkward. Breathing every three was better but still a bit strange. I would have thought that the right side breathing would have been much quicker than the others. Bilateral breathing is the most important piece of wisdom freely imparted by SwimmSmooth. It's that very last bit that I am hanging on to. I am having swim coaching for the first time in my adult life and my coach is getting me to lengthen my stroke and glide, which I have never done, but on my own in the last 6 months I have got (had got) bilateral breathing sorted but now I am very aware my face is in the water longer than I am comfortable with and after even a short distance I cannot sustain 3 stroke bilateral breathing, I am just out of air. I think this is a bit of a case of changing too many things at a go and I hope that once I've got my arms sorted out the bilateral will add easily back in. But is also a very fair point that in open water, which I swim mostly, adaptability rather than a 'I must swim this way' attitude is very important. can you turn your head side to side on each stroke? I like doing that. Elwood- great that you're now bilateral breathing, perhaps you've overly lengthened your stroke and it really IS too long for you to go without a breath? Anonymous- That's one way to get pretty dizzy in the water! I don't get dizzy and it works out my body evenly. Is there something wrong about swimming this way? What is the proper / recommended way? I really struggle with bilateral but know that is the one thing that is holding me back. Is there anywhere a six session plan that would help me finally overcome. I do all the drills but once I swim somehow when stretching out to take aright side breath my arm /body alignment is all wrong . Just off to do a homemade session prob lots of 100s swim on side , wrong side breathing wit and without pull buoy/ fins etc. It's just like being a beginner when I tho us on my wrong side. If I could just find a six session plan . Can you tell I'm an overglider too ! Another advantage of bi-lat breathing which has not been mentioned here is about sighting in OWS. IF you unilateral, the more stable arm for you have a support during the sighting is the opposite of your breathing side. And the more efficient sighting technique is to sight then turn to breath. And you simply could not do this with the condition mentioned earlier(unilateral). Anonymous having trouble with bilateral breathing - Yes there IS a session plan for you: Its a fault fixer in the Swim Smooth Coaching System: https://app.swimsmooth.com/sequence/cpW/conquering-bilateral-breathing/ Enjoy! Amirizal - Yes bilateral breathing has unlimited benefits! Not so sure about the idea of exhaling slowly and consistently. I've long thought that keeping the buoyancy in the chest is important (especially for men). It was said in the above article that chest buoyancy might cause the legs to sink more but I think that chest buoyancy can assist overall body position in that the buoyant chest can be pressed deeper into the water thus displacing the legs. I agree that holding in the air would make it more of an anaerobic activity though. Also - would exhaling gradually cause too many changes in body position throughout the course of the breathing cycle?